Really, with the wide variety of roles Nicolas Cage has had over the years, who is to say he wouldn't play a Bulbasaur? 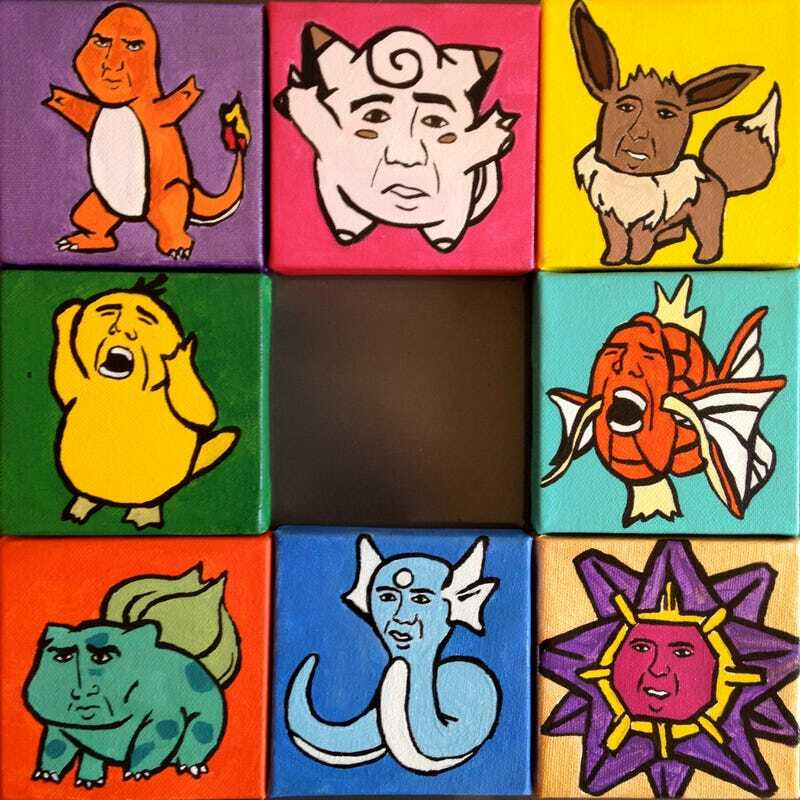 Artist Jess Bellamy has been painting Cage's mug on Pokémon bodies and selling the results at her Etsy shop. In some cases, the Pokémon/Cage mashup works oddly well; I fear I may never look at Magikarp the same way again. She's also painted Cage as a Pug. For her less silly artwork, you can visit Bellamy's portfolio site.